Tired of waiting for the government to take action against the major illegal mining sites located in the Munduruku Indigenous Territory and in the Crepor National Forest, in the southwest of the state of Pará, Munduruku warriors and leaders organized an expedition to drive non-indigenous prospectors out of the area. The initiative was preceded by a harsh document written by the Ipereg Ayu Movement ("people who know how to defend themselves"). Contrary to this type of prospecting, the group has a strong participation of its female members and has been responsible for bold acts, such as the takeover of the Belo Monte power plant in 2013. Actions like these have given the Munduruku group, comprised of some 14,000 people, the reputation of a brave and fighting ethnic group. "Filled with much pain and shame," the group says that the PV tribe, taken and surrounded by the prospecting site, "no longer exists." The group promised to drive out the pariwat (white) prospectors and destroy their machines. 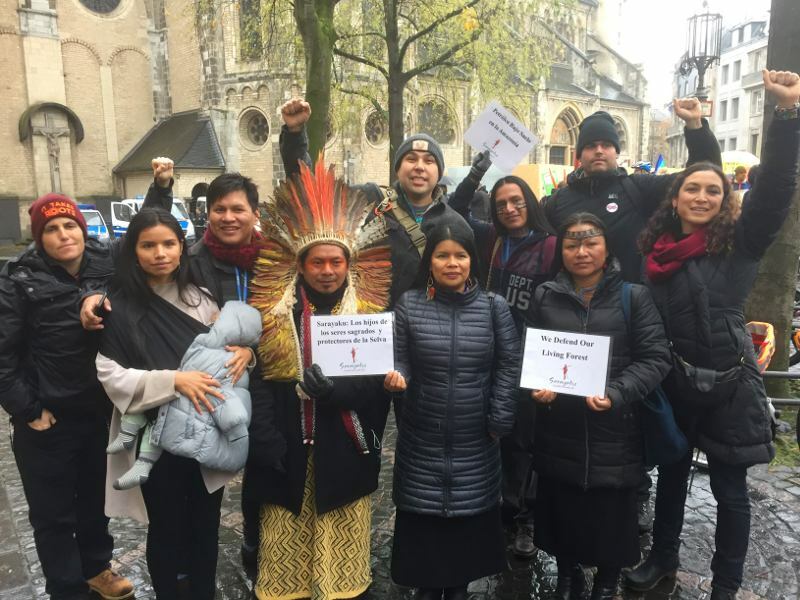 The group also accuses the Chico Mendes Institute for Biodiversity Conservation (ICMBio) and the National Indian Foundation (Funai), as well as the Federal Public Prosecutor's Office of "staying in their offices and holding endless meetings." ICMBio says that prospecting in the region is under control and has led to no changes in the fish fauna of the Tropas river. During visits to some of the twenty tribes on the banks of the Tropas river, the same reports were heard: the river is no longer a source of water or food. In theory, the river should be protected from its fountainheads. At the same time, many Munduruku living in these tribes work or have worked in gold prospecting sites, as prospecting has been the main economic activity in the region of the Tapajós river for many decades.